Are you going to abroad for a business trip? Or going to spend holidays with your family? Do you need a source that can fast-charge your electronic devices no matter what kind of outlets are present? The solution is here. Zendure Passport Pro is one of the latest Global Travel Adapters with fast-charging. Bring it on any international tour and remain stress-free about charging your mobile electronics. Some of the salient features that make such a charging source feasible for travelers are listed below. The power travel adapter is comprised of four powerful USB output ports that include three USB-A outputs and one USB-C PD output. Power Delivery technology is present in this type of charger. There are four slide buttons, which adjust the prongs according to the outlet of the particular location. One of the best features of the adapter is that it keeps electricity grounded. It contains four plugs and each one has the ground connection. In case if there is shortage, high or irregular electricity supply, the grounded portion will allow the electricity to flow from it and balance the power. This safety system ensures no damage to the charger as well as the connected device. Spring plate of the reset button. Bimetallic strip that trip if there is overload present. Live wire input and live wire output. You can reset the fuse of the travel adapter. One of the excellent parts of the Passport Pro Adapter is that it automatically trip if the current flow exceeds safety levels. You can reset Passport Pro immediately with the resettable fuse button. Isn’t it an incredible and unique feature? Another amazing feature that makes the travel adapter the best is that it is designed according to high international standards. The design is meets requirements of the IEC60884-2-5 Certification and BS8546 Certification. Raw materials, electronic components, size, and all parts meet the standards that make it high quality. One can use it confidently for charging precious devices safely. 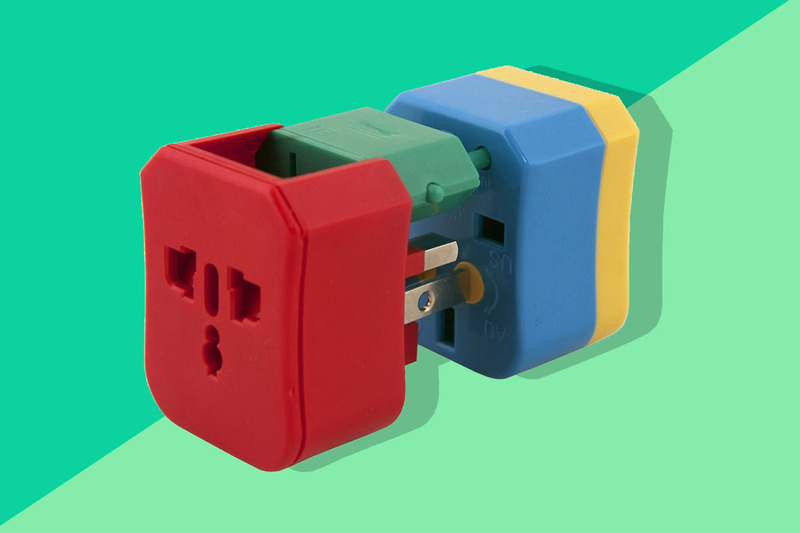 Another quality of the travel adapter is that it is compatible with multiple types of plugs. The travel adapter can accept Type A, B, C, E, F, G, I, J, L, N, and O. Passport Pro can plug into type B, C, D, E, F, G, I, K, and O outlets. You can confidently travel to many countries in Europe, Asia, Africa, Oceania, and the Americas with Passport Pro travel adapter. It is quite small in size so you can place it in your handbag, backpack or pocket. But don’t focus on the size, it is powerful enough to charge a device in minutes. The size is about 16% less than the normal chargers. It has 18W power delivery and provides 10A max AC output. In a hurry? Your meeting time is near but your laptop is not charged? No need to worry as the power travel adapter knows your needs. It provides 70% faster charging of devices as compared to the standard 5w charger. It can charge an iPhone about 50% in just 30 minutes. You can charge consoles, camera or any digital devices you take with you while traveling. You need to charge your shaver, mobile, laptop and camera at the same time? No time to charge the devices one by one as there is one or two sockets in the room? There’s no need to worry, the travel adapter is your ultimate device charging source that has the ability to charge five devices at the same time. Now you can easily charge your devices all at once without wasting time. Take your time to get ready for your meeting or for the trip to the city, meanwhile all your devices will be charged. Sockets and plugs are favorite playing tools for babies. They love to put fingers in the outlet or pull out the plug from the outlet. Therefore, the charger comes with the safety shield that provides protects against these hazards. There is a need to push outlets at the same time to bypass the shield. In this way, it prevents any damage or injury. Travel adapters have become a basic need while traveling internationally. If you go abroad Passport Pro travel adapter is an essential thing that you must keep in your bag.